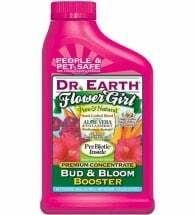 Recommended for heavy feeding, high yield plants. 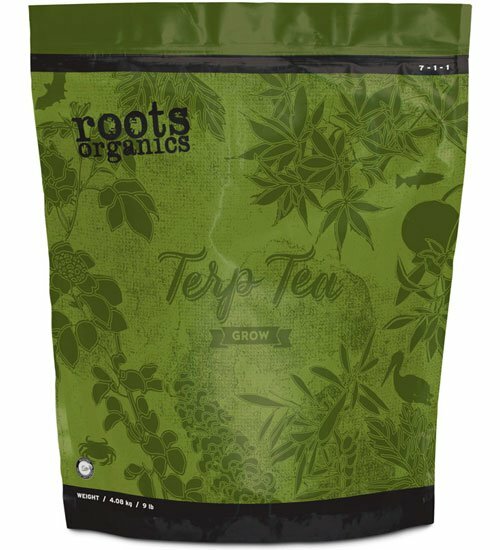 Roots Organics Terp Tea Grow is a natural fertilizer blend that serves as a potent vegetative base nutrient, or as a slow-release soil supplement. 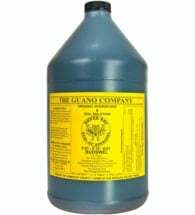 Use to activate the aromatic power of your garden’s natural terpenes. Available in 3-, 9- and 40 lb sizes. 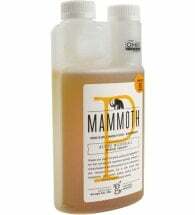 Liquid Feeding – Add 1 tsp to 1 Tbsp per gallon of water. Brew for 24 hours in an aerated, well-ventilated setting or feed directly. 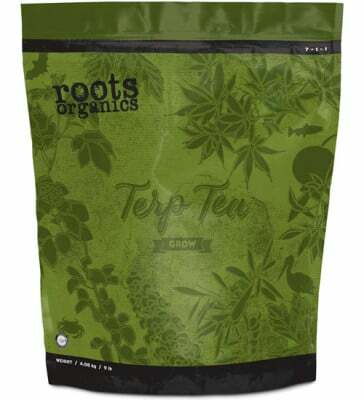 Top Dress/ Amend – Add 1 tsp per gallon of your favorite potting mix. Ingredients: Bat guano, fish bone meal, langbeinite, kieserite, dolomite, soybean meal, feather meal and kelp meal. 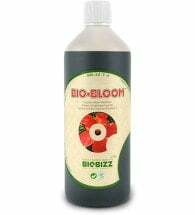 This all-natural plant food creates a living soil environment where beneficial bacteria and mycorrhiza form a symbiosis to deliver additional nutrients to your plants. This microbial inoculant is scientifically proven to grow bigger buds.